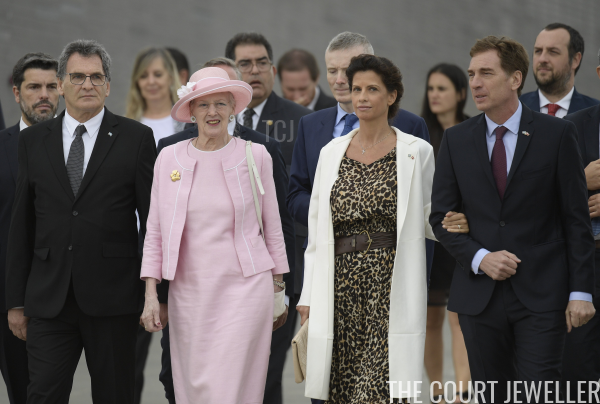 Queen Margrethe II and Crown Prince Frederik of Denmark embarked on an official visit to Argentina this week, and Margrethe brought along several signature pieces from her jewelry box. 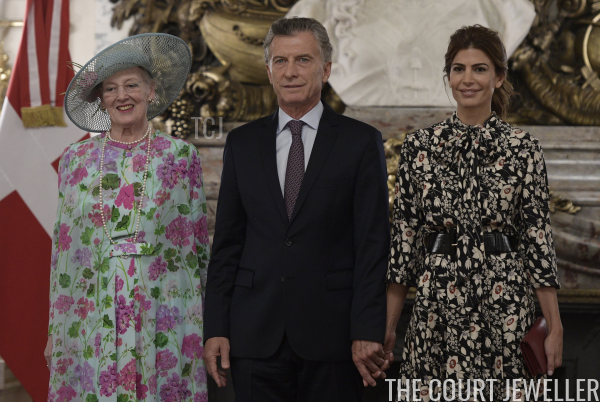 On Monday, Margrethe arrived for a luncheon at the Presidential Palace in Buenos Aires, where she was greeted by President Mauricio Macri and his wife, First Lady Juliana Awada. 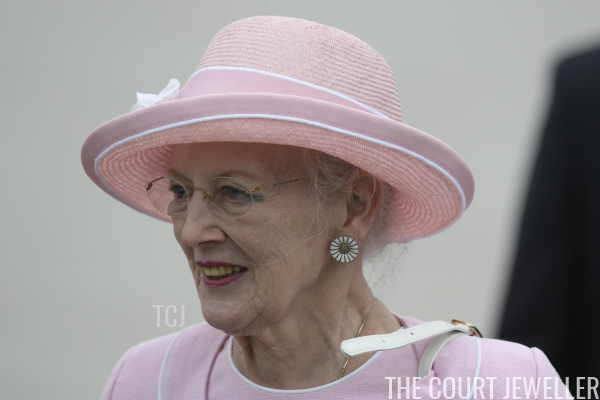 Margrethe wore heart-shaped earrings with pearls for the luncheon. 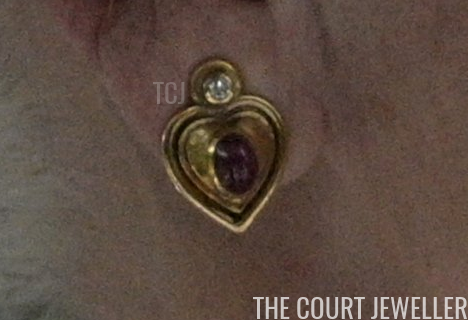 Here's a closer look at the golden heart earrings, which also feature a dark cabochon gemstone (garnet, perhaps?) set in their center. She wore a long strand of pearls in a vintage-inspired style reminiscent of sautoir necklaces worn by royal women in the past. 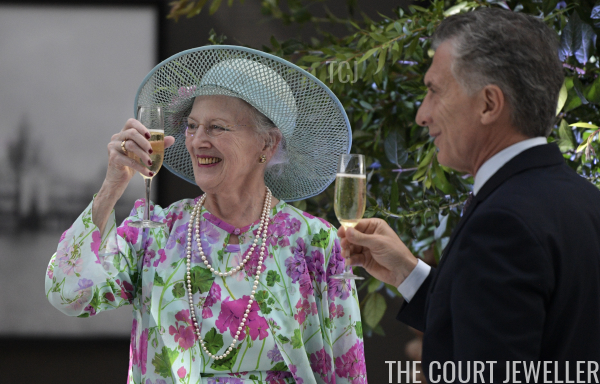 On Monday evening, Margrethe was joined by Frederik for a reception at the Yacht Club in Buenos Aires. 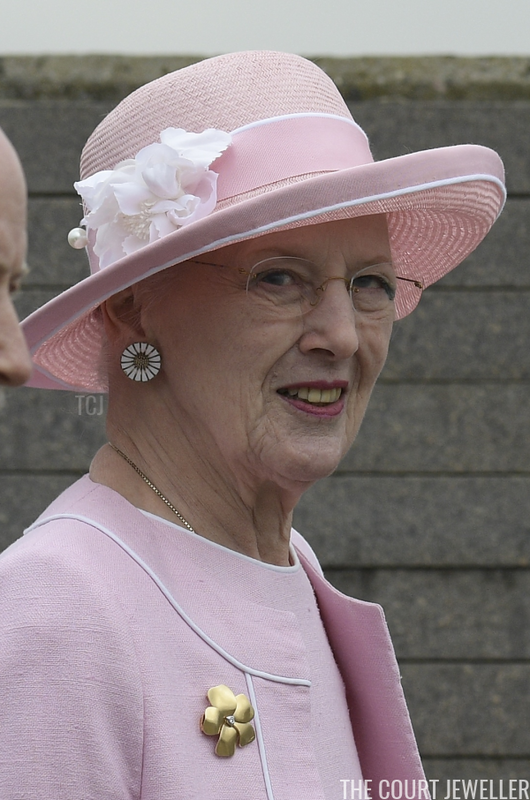 Margrethe wore summery jewels, including a golden brooch and festive earrings, for the reception. 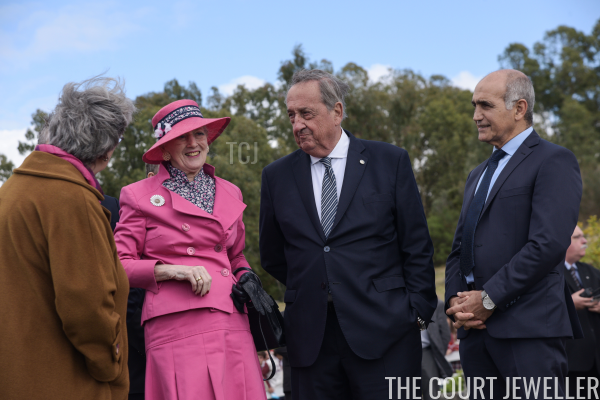 On Tuesday, Margrethe visited the Remembrance Park in Buenos Aires, which includes a memorial paying tribute to lives lost during the nation's former dictatorship. She chose one of her signature pieces for the event: playful daisy earrings from Georg Jensen. 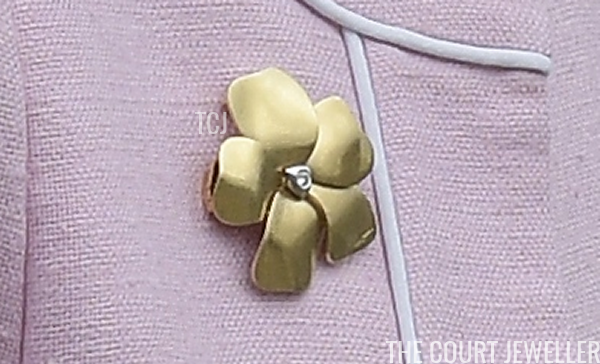 She also wore a golden brooch with a bright, abstract floral design. Here's a closer look at the brooch, which features a small gemstone set at the center of the flower. Margrethe and Frederik joined Vice President Gabriela Michetti on Tuesday evening for a gala reception at the Alvear Hotel in Buenos Aires. 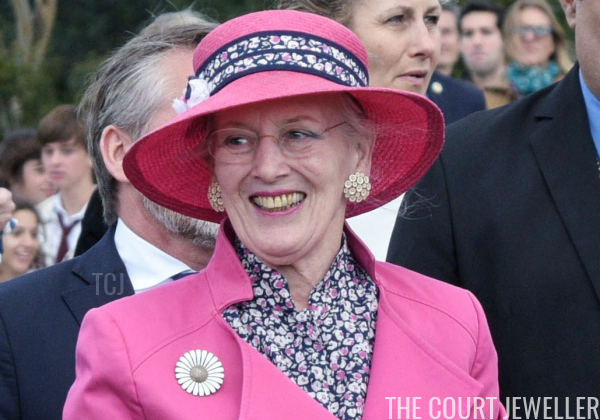 Margrethe wore a gold necklace with four drops, as well as matching earrings. I'm not sure whether these are rubies, spinels, or maybe even garnets. The suite bears some resemblance to the silver anniversary jewels given to Margrethe by the late Prince Henrik. 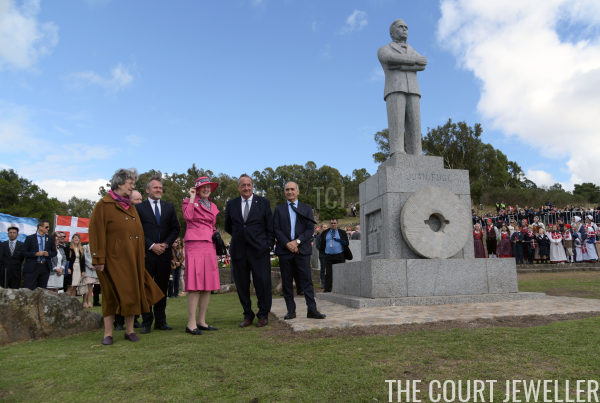 On Wednesday, Margrethe traveled to Tandil to visit to the statue of Juan Fugl, one of the first Danish immigrants who settled in the area. 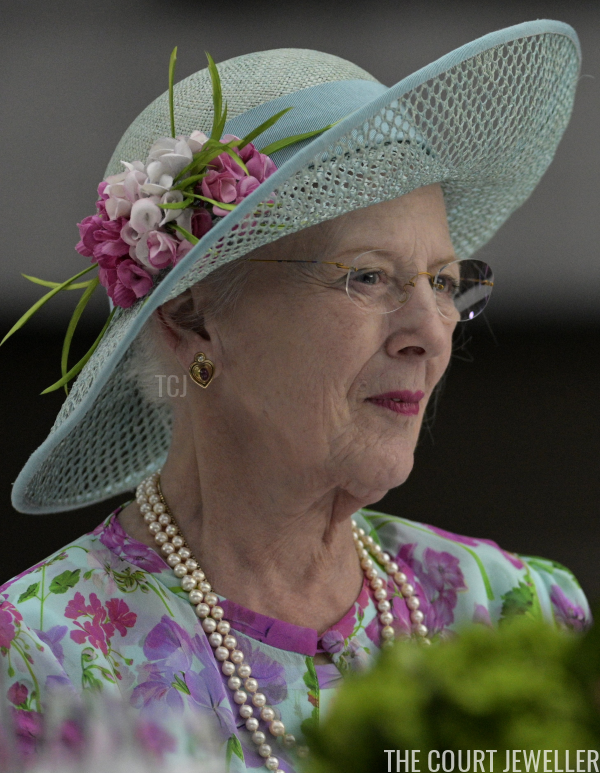 Margrethe again looked to her collection of daisy-themed jewelry for accessories for Wednesday's outfit. 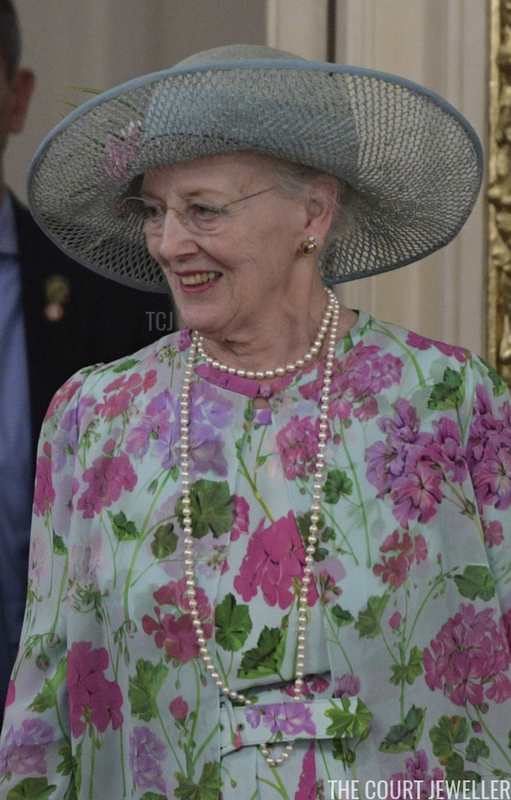 Along with a bright daisy brooch, Margrethe wore large button-style earrings made of clusters of smaller daisies.